While coastal cleanups are considered band-aid solutions in reviving bodies of water, these are still deemed as prerequisites in raising awareness on the importance of restoring our rivers and bays. 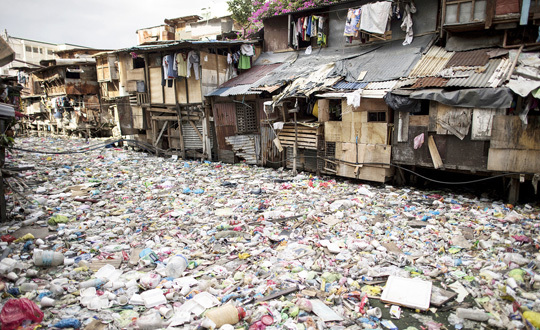 That is why private firms and government agencies have launched various cleanup drives for major bodies of water, especially in the country’s capital. One such example is Pasig River, which used to be an important transportation route and water source in Metro Manila. ● Sagip Estero, Balik Sigla Project. Launched by Maynilad Water Services Inc., it seeks to improve the water quality in tributaries leading to Pasig River. The esteros involved are Estero dela Reina, Estero de Sunog Apog, Estero de Magdalena, and Estero de Concordia. Maynilad has partnered with the Metropolitan Waterworks and Sewerage System (MWSS), Pasig River Rehabilitation Commission (PRRC), the local government of Manila, and the Department of Environment and Natural Resources (DENR) for this project. ● Lakbayan Water Trails. Headed by Manila Water, it is a free half-day educational tour which gives the participants an insider’s look of Manila Water treatment facilities, where raw water is treated to become potable and safe for drinking. There is also an actual sewerage treatment plant where used water is treated before returning it to the rivers. Over the years, Lakbayan has accommodated participants from NGOs, government agencies, LGUs, and private companies. ● Estero Blitz. It is the annual flood mitigation activity of Metro Manila Development Authority (MMDA) aimed at de-clogging and cleaning up the waterways such as creeks and esteros. Estero Blitz is the annual flood mitigation activity of Metro Manila Development Authority (MMDA) aimed at de-clogging and cleaning up the waterways such as creeks and esteros. ● #Salikalikasan. Hosted by the Philippine Coast Guard Auxiliary (PCGA), it is cleanup drive in cooperation with government and private organizations which help revive Pasig River. ● Estero dela Reina Cleanup. To celebrate last year’s World Water Day, an inter-agency cleanup drive headed by PRRC was carried out at Estero dela Reina, one of the major tributaries of Pasig River. ● Bayaning Kalikasan: GDPES-PRRC Cleanup Drive and Environmental Advocacy Campaign. It is a joint effort of the PRRC, Gen. Gregorio Del Pilar Elementary School (GDPES), PCGA, Maynilad, American Association of the Philippines (AAP), and City of Manila. The cleanup drive was also joined by 200 volunteers comprised of students, faculty members, as well as partners in the government, NGOs, and private sector last Nov. 30. ● Blockchain technology. 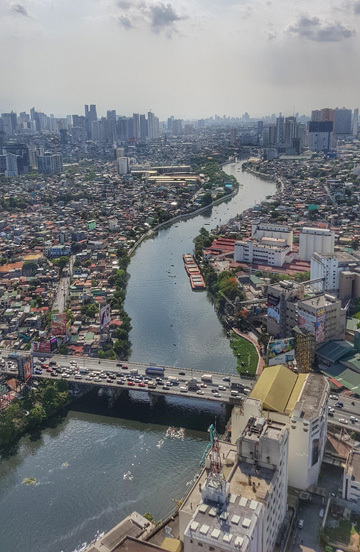 The PRRC and cryptocurrency startup Cypher Odin have joined hands to save the Pasig River using Internet-of-Things (IoT) and blockchain technology by linking their networks to share and exchange data vital to the restoration of the 25-kilometer river. ● SM By the Bay Cleanup Drive. Aimed at engaging the community to save the environment, this cleanup drive was held in partnership with the DENR, Pasay City Environment Office, ICC-PH, Maynilad, Philippine National Red Cross, and Philippine Coast Guard. ● The Manila Bay SUNSET. It is Landbank’s flagship corporate social responsibility program for the environment. 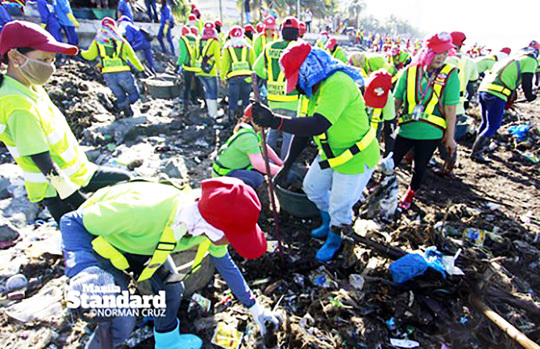 Since 2003, Landbank has been organizing annual cleanup activities, dubbed as “Linis Lakad para sa Manila Bay Campaign” during its anniversary celebrations in August. Each year, more employees volunteer to help clean the Manila Bay together with other project partners. ● Coop’s Walk for Manila Bay Cleanup. The Cooperative Union of Taguig and Pateros in coordination with Cooperative Development Authorizty–Manila Extension Office (CDA-MEO) spearheaded Manila Bay Cleanup, a kick-off activity in the observance of Coop Month Celebration held last October. ● Student-participated cleanup drive. Thousands of college students last August trooped to Roxas Boulevard to join the two-hour cleanup drive of Manila Bay. Organized by Global Peace Foundation Philippines, the activity was joined by students from Polytechnic University of the Philippines, Technological University of the Philippines, Eulogio “Amang” Rodriguez Institute of Technology, San Beda University, National University, San Sebastian College, and University of Makati. ● Manila Bay Cleanup Drive. It is part of the MMDA’s 43rd-anniversary celebration last November, where 200 street sweepers cleaned the bay.